North Attleboro, 55 @ King Philip, 51 – Final – Click here for a Recap and Photo Gallery from this game. King Philip, 48 @ North Attleboro, 57 – Final – Click here for a Recap and Photo Gallery from this game. Mansfield, 5 @ Attleboro, 0 – Final – Mansfield took a 1-0 lead after one period and then scored twice more in each the second and third to beat Attleboro. Cullin Anastasia scored in the second (unassisted) and in the third (from Tim Arnold and Austin Ricker), Ryan O’Hara opened the scoring in the first (from Adam Anastos), Chris Kelleher (from Coleman Jenkins) made it 3-0 and Jake Lund scored an unassisted goal in the third period. Sophomore Sean McCafferty had the shutout in net for the Hornets. Foxboro, 2 @ Oliver Ames, 1 – Final – Oliver Ames junior Brett Williams gave the hosts a 1-0 lead in the second period but Foxboro stormed back with a pair of third-period goals to earn the upset on the road. Junior Brendan Tully scored on a power play with eight minutes left in the game to tie the game, and then, along with Aidan Sullivan, set up Tanner Kennedy for the game-winner with two minutes to play. Espen Reager made 36 saves in net for Foxboro. Franklin, 3 @ King Philip, 1 – Final – King Philip’s Collin Cooke scored in the first period to give the Warriors the lead after 15 minutes of play, but Franklin tied it in the second and scored two more in the third for the win. Dan Magazu had a pair of goals for the Panthers while Jeremy Miller scored once. Canton, 6 vs. Sandwich, 0 – Final – Canton senior captain Kendra Farrelly and freshman Lizzie Tassinari each scored a pair of goals to help the Bulldogs skate past Sandwich. Junior Maggie Malloy recorded two assists for her 50th career point. Oliver Ames, 49 vs. Newton South, 15 – Final – Oliver Ames seniors Cobey Williamson (126) and Casey Bellevue (132) each victories on Senior Night for the Tigers. Oliver Ames, 143 @ King Philip, 134.5 – Final – Oliver Ames improved to 7-0 with the win, setting up a showdown with Mansfield next week that will likely decide the Hockomock champion. The Hornets stand at 6-0 with a meet against Canton on Thursday night. For Oliver Ames, sophomore Lauren Picanzi won the all around with a 35.9 while junior Gianna Martucci took second with a 35.8. Picanzi scored a 9.2 on the bars and an 8.9 on each the vault, beam and floor. Martucci earned a 9.2 on both the bars and the floor. Hannah Moynihan had the highest score of the meet with a 9.5 on both the beam and the floor while also recording a 9.0 on the bars. 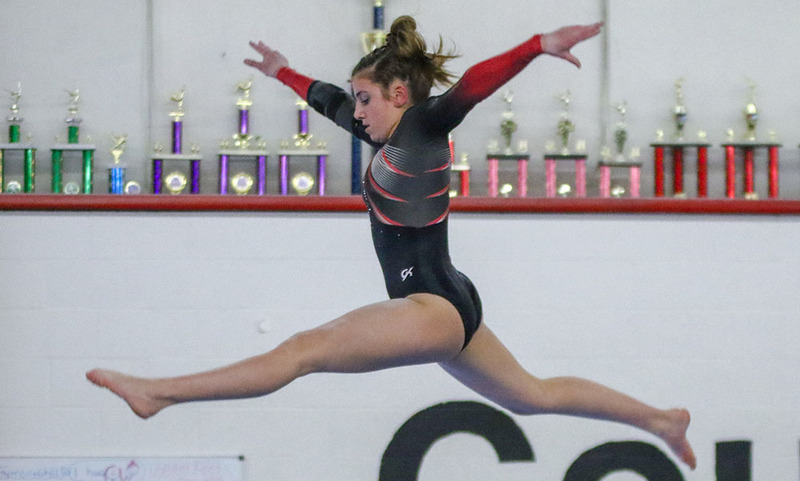 Senior Charis MacCuish scored a 9.3 on floor while freshmen Kiara Nagle, Ashlyn Latham, and sophomore Tina O’Neill also made strong contributions to the team score.